Here is a Podcast from Rainy City Stories recorded at the Manchester Literature Festival. It features Jenn Ashworth, Nick Royle and this blogger talking about the importance of 'place' in our fiction. I'm off to the capital this week. Monday night, at 7.30pm, I am giving a talk at the London Welsh Society on Gray's Inn Road. My father used to go dancing there in his younger days, so I am going to take a few pictures to show him to see how things have changed. She had taken part in a project to find out the true thoughts of the British people about subjects of national interest in 1937. It was a reaction to the government and media spin of the time, I guess. The volunteers wrote diaries and from time to time were posed questions or asked to write about specific events. 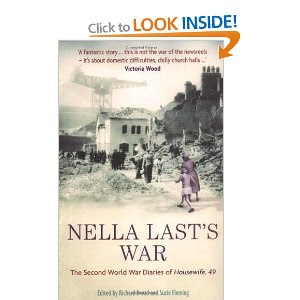 When war came two years later a great network was already established making note of what they saw, felt and heard. 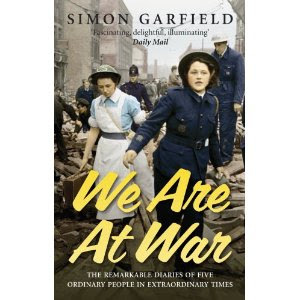 In We Are At War Simon Garfield has picked out the diaries of five ordinary people and followed their extracts through the first year or so of the war. 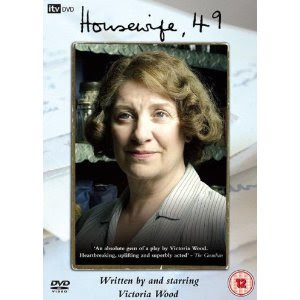 There is Tilly Rice, a pregnant middle class housewife who evacuates to Cornwall with her two children, but pines to be back in London; Eileen Potter, a middle-aged civil servant in London, whose main job when the war breaks out is to accompany children to their places of refuge; Maggie Joy Blunt a young unemployed writer who has a lot of interesting friends with outspoken views; Christopher Tomlin, a twenty-eight year old writing-paper salesman who describes his worries at being the sole breadwinner of his family and the distress of having a brother on the front; and there is Pam Ashford, who is maybe my favourite (though they are all very good) because she cheerfully describes all the gossip in her Glasgow shipping office, some if very funny. 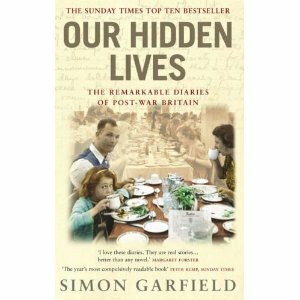 I am on the start of April 1940 and until now there have been more deaths through car crashes due to the blackout than through people on active service, and people have learnt to live with rationing, inflated prices and lowered wages. There have been ships and U-boats sunk, but so far most of the air-raid warnings have turned out to be drills. But now Germany has marched into not only the Scandinavian countries but France, Belgium, Luxembourg and the Netherlands too. By reading these diaries I feel the sense of mounting disquiet, and of course I know that things are about to get much worse. I think because the details are so intimate I am getting a good sense of how it must have been, in a small way I am living through the war too. 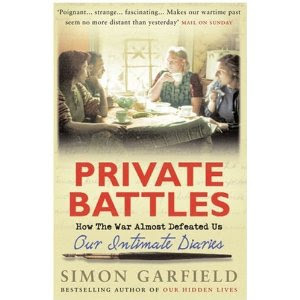 Since this book stops in October 1940 I have bought its successor, Private Battles which goes to the end of the war, and if I don't want to stop there (and I don't think I shall), there is also Our Hidden Lives which deals with the first few years after the war. I am pleased to see from the back of Private Battles that I shall continue to follow the lives of Pam Ashford and Maggie Joy Mount, but not, alas, Christopher Tomlin, Till Rice or Eileen Potter. I think I shall miss them. and whom I narrowly missed meeting in Girona last year, for this very kind review of my book 98 Reasons For Being. I am lucky to have such a thoughtful and generous reader. Hodmandod Minor is taking Environmental Science at university, and so is studying some of the same topics as I did during my geology course all those years ago. 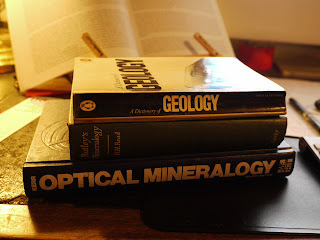 He mentioned he needed a good book to go with his course on optical mineralogy so I told him I might have just the thing - three books which were a huge investment for me back then. I found them almost immediately - a rare occurrence for me - but looking on Amazon find they are, of course, out of date, even though most of the material seemed timeless to me when young. But I suppose definitions change, methods become outmoded, there are better explanations, or maybe there is just a change of emphasis....and so then these old editions, which I had always assumed would maintain their value, are in fact worth very little to anyone any more. So Hodmandod Minor doesn't want them, and I don't blame him in the least, and I am left wondering if I should keep them any more. There doesn't seem to be much point beyond nostalgia and I do need the space on my bookshelves. An interesting video from Nature Communications. This looks like a good course for anyone interested in Science Writing. It is run by two very experienced science writers - Jon Turney and Peter Moore - who together have written a great variety of books of science. If I could go, I'd certainly be there because if it's anything like their books I expect it will be fascinating. Many thanks to my friend, Debra Hamel, author of the excellent book about the true life-story of a courtesan in Ancient Greece, Trying Neaira, who has very kindly reviewed A Place of Meadows and Tall Trees on Amazon.com. I especially like the review title (and so does Dr. Grump). I have moved on in place and time: away from Ancient Greece to the second world war, looking at the biographies of German scientists and Soviet spies. I think maybe I am researching too much, but there always seems so much I need to know. But I suspect all this is merely a form of procrastination; putting off the writing because there is always the worry that I can't do it any more. I am having a good time in Ancient Greece at the moment. More specifically, I am having a good time in Robin Waterfield's Athens: A History. The book was written just before the recent Olympics in Athens in 2004 and uses this fact to set the 'scene' (a Greek word, apparently - first used to describe the painted backdrop on the stage), before going to on to give a fascinating account of the origin and ancient history of the city. I found the account of the first modern marathon run in 1896 particularly entertaining. The man who came in third, Spyros Belokas, was later disqualified when it was found that he had accepted a lift on a cart for some of the journey. The man who won, Spyros Louis, was a peasant and the rules had to be bent to allow him to take part (other contestants had been members of gentlemen's athletic clubs). As he ran into the stadium the citizens of the recently re-established city of Athens of the recently re-established country of Greece erupted with cheers, flag and hat waving and tears of joy. Two of the Greek princes flanked Spyros for the final 200 metres and then raised the victor onto their soldiers. In the days that followed, women pressed gifts of gold chains and watches on him, other people offered cash, free meals, free coffee and free haircuts for life, but Spyros Louis refused them all. He also refused to marry a young upper class lady who had recklessly promised her hand to the winner - before the requirement for the contestants to be gentlemen runners had been waived. 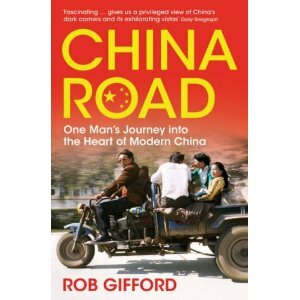 I've just finished China Road by Rob Gifford, and what a fascinating book it is! It took me back there, into China, and I learnt so much. For instance when I went to Yizhou, a 'small' town in the south west of China, two people met me at the station - my guide, and also a 'local guide' who I now suspect was someone from the local government keeping an eye on me. At the time I wondered why she was there. She would point out subtle things like the improved driveways of houses, and various other positive features, which my guide would translate for me. According to 'China Road' visitors are expected to report to the local authorities, and I think this extra guide was making sure my visit was a positive one. Another incident that came to mind was when I decided to investigate the sauna in my posh Shanghai hotel I was told to make a booking for the next day. Apparently, this is because the sauna in Chinese hotels, even the upmarket ones, are likely to be fronts for brothels. I'm pretty glad I decided against now. Starting in another Shanghai hotel Rob Gifford follows 'route 312', which takes him through the northern part of China, through Xi'an and then to the extreme northwest, following the northern silk road. Along the way Rob Gifford makes observations about modern China, as well as giving a historical context. Rob Gifford spent 20 years studying and working in China, and so he knows a lot about the Chinese psyche. 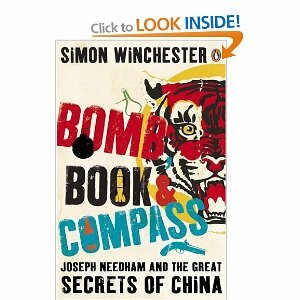 He adds to the idea I'd gleaned from reading Simon Winchester's excellent book about Joseph Needham (Bomb, Book, Compass) that Chinese science festered during the Qing dynasty because all the potential scientists were diverted into the civil service. It was partly that, but also due to a complacency harping back to the golden age of Confucius making all further innovation unnecessary. Furthermore, because there was no aristocracy, apart from the emperor, there were no other contenders for power, which also contributed to the general scientific stagnation. Towards the end of the book he also considers the influence of a non-alphabetic written language. It is inflexible, and has remained the same for over a thousand years. This, he thinks, may also stultify creativity. Art also failed to develop until the twentieth century. This followed a decree in the Tang dynasty which meant that art would remain the same for over a thousand years. Apart from Confucianism which pervaded in the office, the other main religions for the ancient civil servants were Taoism. Whereas Confucianism emphasised order and finding one's place in society, Taoism was more metaphysical and concentrated on finding one's place in the universe. These were joined by Buddhism in the first century AD, and this triumvirate of philosophies subsequently intertwined. In contrast to Judao-Christianity, there were multiple gods, and also a lack of certainty. Man could never find 'the way', all he could do was search for it, and maybe approach it. Rob Gifford illustrated this very well when he encountered a hermit in a cave. He went there for enlightenment, but came away with something else. It is very funny. 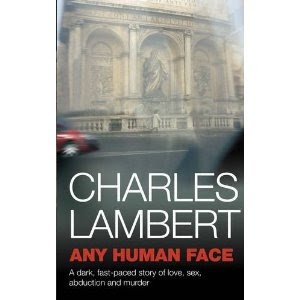 Apart from the many entertaining sections, there are a few disturbing accounts too; he encounters a doctor who performs forced terminations on foetuses that are almost full-term, and is repulsed by her attitude. Since the character for 'good' is composed of the radical for 'woman' and that for 'son', the importance accredited to a male heir is clearly ingrained, and I suppose that it is little wonder that Chinese society now has a predominance of young males. Because of this policy, introduced in the early 1980s it is estimated that by 2020 there will a shortage of 30 million brides. Rob Gifford confesses that he is confused by China. Some days he loves the place, other days he is glad he is leaving, but every day brings something different. The road end in Urumqi - a place that I was intent on visiting when I was first planning my visit, but decided not to following Foreign Office advice. The book describes the background to the tensions there, as well as a description of the place that seemed so fascinating that I searched for images on the web. Immediately I came across video footage of rioting in July 2009 - exactly the time I was thinking of going there. The Han Chinese were most of the victims, but this book explains why the uprising occurred. It is still a place I would love to visit, eventually. A Potted History of China. Up until 19th century Confucian philosophy: China the centre of the world and Chinese superior. During 19th century suffered military defeat at the hands of 'The Ocean People' (foreigners from outside China arriving by ship). They realised then that they would have to change to avoid being annexed. 1905 Confucian examination system abolished. Old Hundred Names (Rural peasants) 750 million people. 1927 toured Hanan - convinced revolution should come from peasants. 1940s Civil war and chaos. 1950s land reform - ruined by collectivisation. Late 1950s Great leap forward. Industrialisation and blast furnaces. 30 million died. 1966 Great Proletarian Cultural Revolution. Young encouraged to rise up and attack old, proletariat and foreigners. Intellectuals sent out to countryside and labour camps. Encouraged large families. Life expectancy increased from 35 in 1949 to 71 today. 1980s Hope of economic reform. One child family policy introduced. 1990s New liaison with urban masses. Corruption and stagnation. Rural poor looked down upon again. 2006 promise to rural poor to give free schooling and free medical care as part of 5 year plan. Finally, looking the at the index of the book I came across a very interesting website which investigates a village in a part of China close to where I have been. It seems to be well worth further investigation. I have decided to write another novel, so Dr. Grump, being rather under-occupied this holiday, has decided to 'help me out' by suggesting a few plots she considers to be guaranteed best sellers. Each one is clearly a gem, so my only problem is deciding on which one to choose. Any advice gratefully accepted. Ivor's son has a strange laugh. He has also got very thick blond hair that the barber has to remove like a pelt. Eileen, a geneticist, loves Ivor and is about to marry him but then a colleague comes to her with devastating news. Ivor's son is part sheep. His mother was the offspring of a genetic experiment involving a sheep as a surrogate mother, and during the gestation period some of the sheep's genetic material passed through the placenta and entered the boy's cells. Unfortunately, Eileen has a fatal allergy to any meat apart from mutton, and also has a rare blood condition requiring a constant supply of red meat. Should she marry Ivor? Should she confess that her mother ate Ivor's son's mother's thigh? And what should they have for dinner? St Ursula's Old People's Home for the criminally insane is desperate for staff. The pensioners are generally challenging to look after. Carers last for less than a fortnight. Pauline, the matron, is at her wit's end until Martin, a gentle man of considerable charm, strength and patience is taken on to help around the garden. Immediately the pensioners are calmed by his presence. Pauline is about to go to a hospital to donate a kidney to a sister (who will die without it) leaving Martin in charge, but then she receives a report from a Private Detective with some devastating news. Martin is a reformed killer. A few months ago he converted to Christianity because of the influence of a charismatic minister, but the detective has uncovered evidence that he has now converted back to Vampire worship. Should Pauline leave the home in Martin's charge? Should she tell him of the hepatitis outbreak a couple of years ago that means that the blood products of most of the residents will still be infectious? And should she insist on the removal of the altar-mounted barbecue feature in the garden? Professor Smythers, renowned climate scientist, is on the cusp of something big that will harmlessly reverse the effects of global warming. However, dementia is threatening his memory, and the only thing that can save him are stem cells from his own offspring. Unfortunately, Sally, his wife of forty-three years, is too old to have children and their only son is estranged, having become a fascist dictator in a remote Himalayan princedom. He has sworn he will never speak to them again unless they accept his philosophies of white racial superiority and controlled genocide. One of Professor Smythers' colleagues claims to have come up with a treatment for Sally which will help her regain her fertility but it comes at a huge risk - she could become as hairy as a gorilla. Should she go for it? Or should the Smythers join his son's new National Socialist party? Or should she allow Luscious Tracy of Basingstoke to do the honours with a turkey baster?